After a long grueling flight, you have finally touched down on New Zealand soil. Auckland Airport is most likely your arrival airport, as it is the busiest international airport in New Zealand and the cheapest airport to fly into when travelling to New Zealand according to our price comparisons on Skyscanner. For more information on arriving in New Zealand, see Everything You Need to Know About Arriving in a New Zealand Airport. “Are you kidding? Exiting the plane? I am not a complete moron!” We hear you cry to your screen as you read this. But there is a right and wrong way of doing this. As soon as you land after a long flight, everyone is going to be eager to get off the plane as quick as possible. This means pushing people, elbowing the elderly in the face, and so on. You are in for a long wait at Customs and Immigration anyway, so it’s best to just take your time. Let all the pushers and shovers get off the plane first and then casually stroll off the plane with your carry on luggage strung over your bad self. While you are heading to the exit for Passport Control, you get to pass through the shiny stuff at duty free. Here you can grab a bargain without the GST on goods. Honestly, if you can’t resist a good bargain, it’s probably a better idea to shop in duty free as you leave the country, so you are not carrying extra weight in your backpack. Find out more about duty free in our article: Duty Free Shopping in New Zealand. This is the part you need to sweat for. Joking, of course, everything is pretty easy. All you need is your passport and your completed Passenger Arrival Card, which you will have filled out on the plane. It is also best to have a hard copy of your visa. If everything is all good on your arrival card, they will return your card to you to show again at Biosecurity. By this point you shouldn’t have any food with you. There will be bins around to dispose of foods. The Immigration officer will give you that long-awaited stamp in your passport. Then you’ll be on your way! Easy! Things are made easier for those with a UK, New Zealand, Australia, US, Canada, China, France, Germany, Ireland and Netherlands passport, as you guys can use the eGate. The eGate reads your e-passport, asks you if you have NZ$10,000 or more, then issues you a ticket to use at the gate. After inserting your ticket, a camera on the gate will scan your face to see if it matches the passport. Make sure you are not wearing glasses for the scan. If you are successful, the magical gate will open! If not, see the Immigration officer at the desk. For more information about this step, see Arrival Advice: Passport Control and Immigration. Find the carousel that matches your flight number and grab your checked in baggage. Can’t decide what sort of bag to take? Check out our Backpack Vs Suitcase article, or How to Choose a Backpack to Travel New Zealand. And now you wait in the long queue to go through Biosecurity. Once you reach the desk, you will be asked if you have anything to declare. Refer to what you have ticked on the Passenger Arrival Card. If you are in doubt about anything that you have packed, just declare it! Take a look at What Do You Need to Declare When Arriving in New Zealand? If what you have declared something that did not need declaring, then you will walk through no problem. If you declare a relevant item then you will either have to surrender your item or pay the correct tax. Finally, if you don’t declare something that should have been declared, you will face a heavy fine. Bad times. One of the most common things people get stopped for at Biosecurity is for having used camping gear and/or hiking shoes. If they are dirty, you will be given a brush to start scrubbing! So, it’s best to clean all your sports and outdoor gear before you pack your bags for New Zealand. Your luggage will then go through an x-ray. If needed, Biosecurity will open your bag. 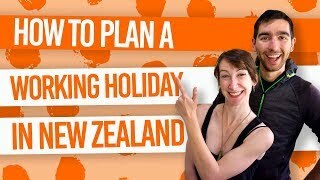 If all is well and you have been a good backpacker, you will have successfully made it into New Zealand. Congratulations! For more information on this step, see Arrival Advice: Biosecurity and Customs in New Zealand. 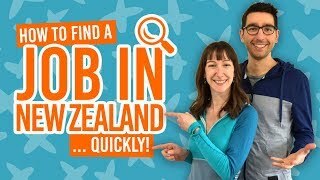 Time to discover New Zealand! There are three ways to leave the airport by public transport. The first option is by shuttle bus. These bus services take you straight to the door of your hostel so just sit back and relax. You can either book your shuttle in advance or pay on the day. Next is the Sky Bus, which takes you right into the city. This is your cheapest option to get into Auckland Central. Finally, you can get a taxi right to the doorstep of your hostel. But, you’re a backpacker, not a princess, so take one of the cheaper options mentioned above. (Unless you are travelling with other people, then the taxi could be cheaper. Check out Auckland Cab Fare: Taxi Prices in Auckland for more information).